Newspaper coverage of newsroom romances! 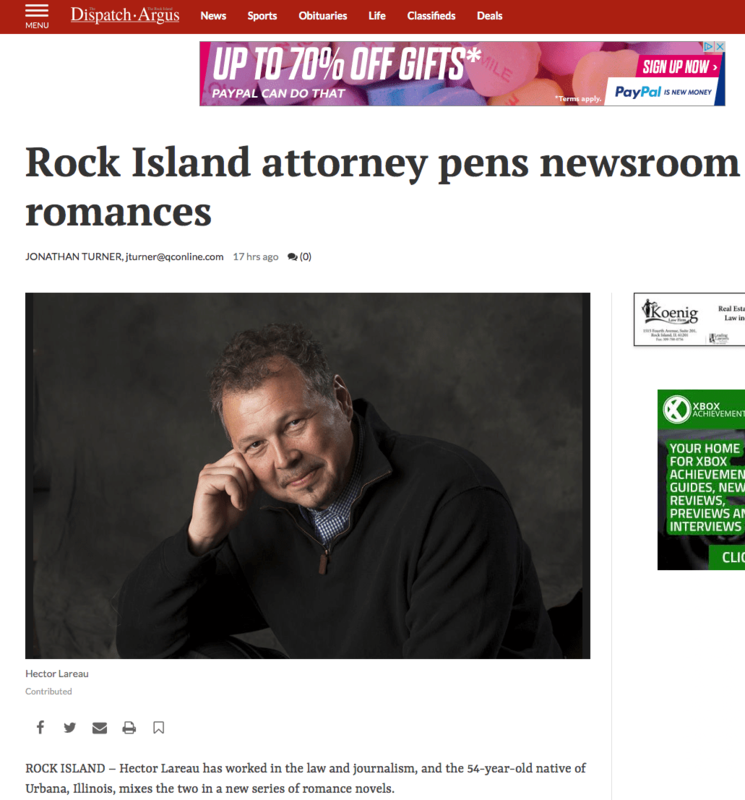 Jonathan Turner of the Dispatch/Argus has written a generous article on the newsroom romance series. Find it here. I continue to be impressed at how thoughtful conversations with journalists are. Turner asked some probing questions that required me to dig pretty deeply. He exemplified many of the characteristics—caring, curiosity, compassion—that Bailey and Karli bring to their coverage of stories. Please feel free to reach out to me with questions or comments at hllareau@icloud.com. I try to respond to every email, but there’s always the press of affairs and so on, so please be patient. Jane Austen did it all!